Improving the overall look of the home: Sauna rooms are one of the latest trends in the home designing space as they improve the look of your home significantly. 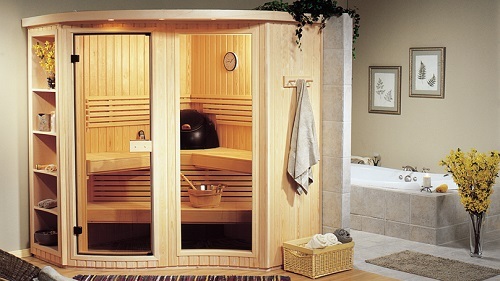 Sauna rooms, usually being extremely attractive and spacious looking, are sure to give your home a lavish look. Perfect place for resting: A sauna room can be a perfect place for resting, especially if your home witnesses quite a lot of activity throughout the day. You can go and rest in your sauna room alone, and experience calm and peace irrespective of what’s happening on the outside, all without even leaving your home. Improve your home’s value: As mentioned above, some sauna room adds quite a lot of style and elegance to your home, besides making it look more spacious. Improvement on all these fronts is sure to increase your home’s overall value quite a bit. However, there are a lot of sauna manufacturers in the market, offering a wide range of saunas. Now unless you are someone who has bought a sauna room before, choosing the perfect one based on your needs might get a little difficult. But with a considerable amount of research, you are sure to find the right one for you. Going through a few sauna rooms reviews too can go a long way in assisting you with your decision. In this particular review, we are going to talk about one of the state of the art sauna rooms, designed for luxury, comfortability and giving that much needed special touch of lavishness to your home. This particular sauna room, named the Cascade Series Sauna Room, is manufactured by Amerec, one of the leading sauna producers throughout the world. This particular sauna room comes with a great design, and is built perfectly considering the various needs of the owner. It is quite spacious and can allow 4 to 5 people sit comfortably inside it. Well, this is something really unique about this particular sauna room. One of the most common issues with almost all the sauna rooms is that they need a considerable amount of space to be placed. This makes it bit of a challenge for someone whose home doesn’t have many large rooms. Also, sauna rooms that require a lot of space might mean less space in the home, making the area seem a bit messed up and less spacious. The Cascade Series Sauna Room, being designed in a rather innovative way, ensures that it can be placed even in a room with limited space, and still not hurt the spaciousness of the place significantly. This sauna room also comes with a lot of useful accessories, which otherwise would be an expensive buy. These accessories include Bench skirts, Headrests, curved backrests improving the overall level of comfort, stainless steel bucket and ladle and so on. Summary : This is an ideal sauna room for people who don’t want to affect the spaciousness of their home significantly, while still enjoying the benefits that come with a sauna room.